Unlike most breeders, we are both avid hunters and field test as many of our offspring as possible. 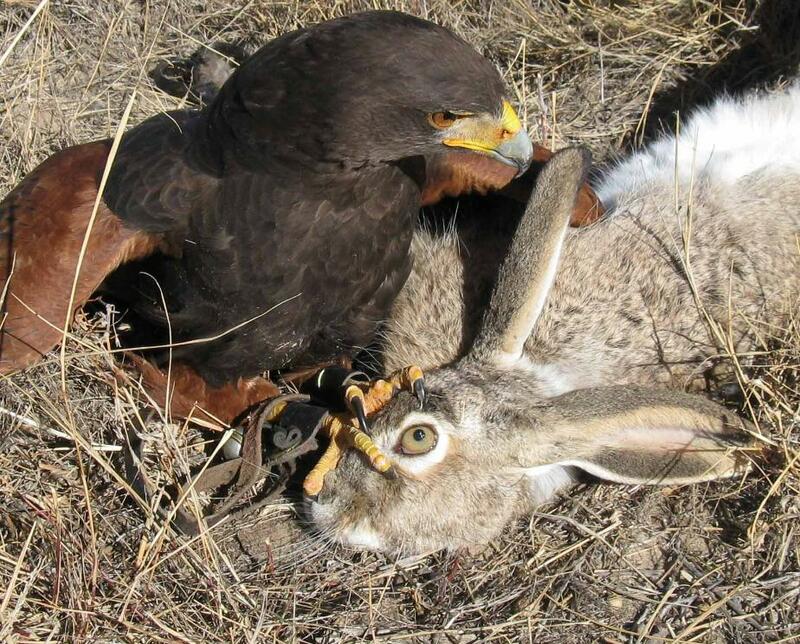 Our primary goal in breeding Harris's Hawks is to provide quality hunting hawks that are easy to train and a joy to hunt with. We travel across the U.S. every year to field test our bloodlines against a variety of quarry from swamp rabbits and cottontails to jackrabbits.